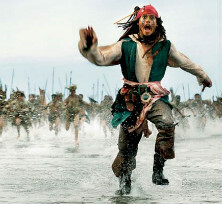 A newly announced coalition of major entertainment companies including Disney, Fox, HBO, NBCUniversal and BBC Worldwide has set its eye on pirate streaming boxes. The Coalition Against Piracy (CAP) will coordinate local enforcement efforts in Asia, hoping to disrupt the "criminal syndicates" behind these devices. Traditionally there have only been a handful of well-known industry groups fighting online piracy, but this appears to be changing. Increasingly, major entertainment industry companies are teaming up in various regions to bundle their enforcement efforts against copyright infringement. Earlier this year the Alliance for Creativity and Entertainment (ACE) was formed by major players including Disney, HBO, and NBCUniversal, and several of the same media giants are also involved in the newly founded Coalition Against Piracy (CAP). CAP will coordinate anti-piracy efforts in Asia and is backed by CASBAA, Disney, Fox, HBO Asia, NBCUniversal, Premier League, Turner Asia-Pacific, A&E Networks, Astro, BBC Worldwide, National Basketball Association, TV5MONDE, Viacom International, and others. The coalition has hired Neil Gane as its general manager. Gane is no stranger to anti-piracy work, as he previously served as the MPAA’s regional director in Australasia and was chief of the Australian Federation Against Copyright Theft. The goal of CAP will be to assist in local enforcement actions against piracy, including the disruption and dismantling of local businesses that facilitate it. Pirate streaming boxes and apps will be among the main targets. These boxes, which often use the legal Kodi player paired with infringing add-ons, are referred to as illicit streaming devices (ISDs) by industry insiders. They have grown in popularity all around the world and Asia is no exception. “The prevalence of ISDs across Asia is staggering. The criminals who operate the ISD networks and the pirate websites are profiting from the hard work of talented creators, seriously damaging the legitimate content ecosystem as well as exposing consumers to dangerous malware”, Gane said, quoted by Indian Television. Gane knows the region well and started his career working for the Hong Kong Police. He sees the pirate streaming box ecosystem as a criminal network which presents a major threat to the entertainment industries. “This is a highly organized transnational crime with criminal syndicates profiting enormously at the expense of consumers as well as content creators,” Gane noted. The Asian creative industry is a major growth market as more and more legal content is made available. However, the growth of these legal services is threatened by pirate boxes and apps. The Coalition Against Piracy hopes to curb this. The launch of CAP, which will be formalized at the upcoming CASBAA anti-piracy convention in November, confirms the trend of localized anti-piracy coalitions which are backed by major industry players. We can expect to hear more from these during the years to come. Just a few days ago the founding members of the aforementioned ACE anti-piracy initiative filed their first joint lawsuit in the US which, unsurprisingly, targets a seller of streaming boxes.